It is no secret Canada loves their beer and craft beer in particular is having a renaissance in Canada. Craft breweries used to be referred to as micro-breweries, but some of them aren’t so small anymore. The really big change is that craft beers, or microbrews, now account for six percent of the market. Some analysts suggest the number could triple in the coming years. As of 2014 British Columbia has about 80 microbreweries, but that number is expected to grow to more than 100 by next year, compared to Ontario who currently stands at 110. Six Cent Press has seen a frothy surge in Craft Brewery pinback buttons being shipped from coast to coast and everywhere in between. 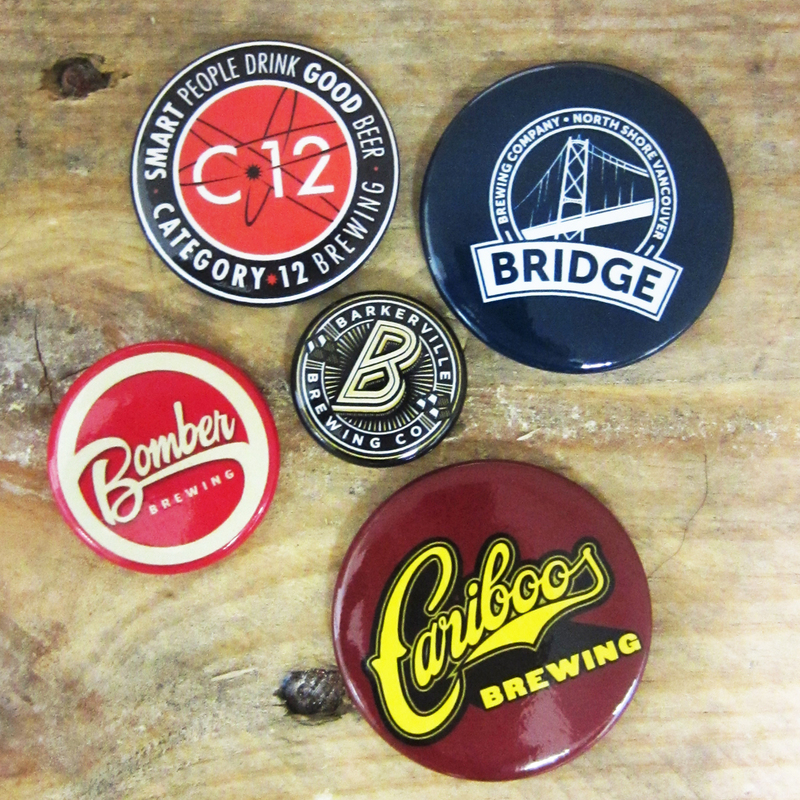 From our small 1″ buttons finding their way to small town breweries on the Prairies to the popular 2.25″ button being worn in tasting rooms across the big city of Montreal, custom pin-back buttons by Six Cent Press are a sure bet within the craft beer scene.